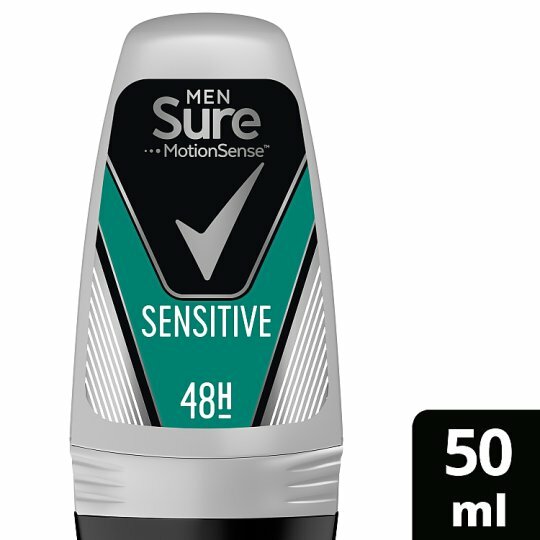 Sure Men Sensitive anti-perspirant has been developed to give you cutting edge protection against sweat and odour. So you're always protected for whatever happens. It also contains Sure’s innovative Motionsense technology. It works like this: unique microcapsules sit on the surface of your skin. When you move, friction breaks those microcapsules and they release more fragrance. So every time you move, Motionsense keeps you fresh and free from odour. Whether you’re working hard in the office, playing hard out and about or just meeting up with friends, Sure Men Sensitive will give you all the back-up you need. Sure. It won't let you down.